It has been common knowledge that milk is essential to one’s health and that seems to have been common knowledge even in pre-historic times as well. Early man had known that babies require fresh milk and that it is an essential component for their development though he would have been ignorant of the specifics. And ever since then, milk consumption has remained the mainstay of human evolution through the ages and today, we consume milk in various forms from our daily coffee to milk chocolates, sweets, paneer, and the list goes on. The question you need to ask is why is it that we afford so much importance to milk and why we insist that our children drink the same? Read on to know more. Minerals and Vitamins: Milk is known to be rich in various minerals and vitamins such as Calcium, Phosphorous, Vitamin D and B vitamins. All of these are essential as they can help your body fight various diseases, essential for good health, strong bones and ensure that your physical development takes place on cue. This is why it is important for children to drink milk every day as they undergo rapid development. Protein: A glass of milk contains as much as 8 grams of protein, given this, drinking milk each day should enable your body to fight off infections and other diseases, enhance muscular development and ensure healthy hair growth. While it should be pointed out that milk is not a panacea for all the deficiencies that your body may conceivably suffer from in the course of your life, it does nevertheless provide your body with the tools it needs to fight off the various infections. 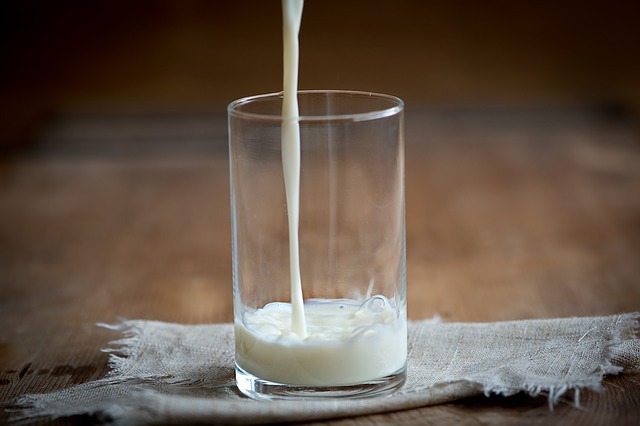 Energy: Milk, natural or processed, will contain a certain amount of lactose which in turn can help you retain energy better and even help you build up your endurance levels. Fats: Granted, this may be a concern to many given the fact that obesity is a global killer. But milk only contains essential fats which your body requires in order to function seamlessly. So there is nothing wrong with drinking a glass or two of milk and of course, as always it is advisable not to overdo it for obvious reasons. Most people are under the assumption that milk is only for kids and not adults; they could not be more wrong. Milk is essential for everyone and even a cursory glance at the nutritional makeup of milk should set you straight. Milk contains various nutrients, vitamins and proteins; by including the same as part of your daily diet, you are ensuring that your body receives the essential nutrients. Milk contains various vitamins such as Vitamin A, Vitamin B 12, D and various essential minerals such as Calcium, Phosphorous, Selenium, Magnesium, Proteins, Zinc and Riboflavin. All of these are essential for the human body and required to keep the same operating smoothly. That’s why most doctors stress the importance of including Milk as part of your daily diet. If you choose not to drink milk and do not provide your body with its daily quota of essential vitamins, proteins, then chances are that you may develop several health complications. Moreover, your immune system is bound to come under a strain which makes it all the more easier for various pathogens to invade your body. And since milk is pivotal for your body’s growth, a failure to drink the same during childhood development can leave you with milk deficiency, which can result in a weaker constitution and weaker bones. Milk is essential for human growth and it is all the more important that your kids consume their daily quota of milk. Milk deficiency can cause serious health complications which is why you need to take effective measures to address the same especially if your kid does not drink milk. You can use various tools such as storybooks, cartoons or even a show and tell example and make her understand the importance of drinking milk so that she understands why it is necessary for her to drink the same. Keep in mind that as an adult, you would be required to drink milk as well, either as it is or in coffee or curd or any other form. The point is that milk is essential for adults and children alike. Milk has remained a pivotal cornerstone of our development and it’s easy to see why but you do not have to take my word for it, just as your healthcare worker and he’ll happily confirm the same.